Sansamp began life as far back as 1989 when a guitar player and electronics genius B. Andrew Barta decided to create a tube amp emulation. 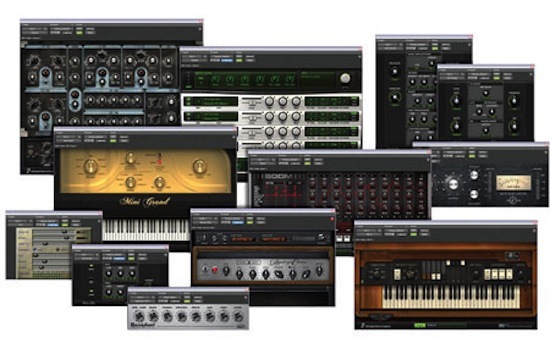 The rest, as they say, is history and Sansamp has been used on countless albums over the years. It has a unique tone that when used on guitar and bass can bring them to life. Add this to any synth or rompler and you get filtering that is far better than the stuff in Xpand2 or Structure. If you can record the real thing like an original analogue synth, then do it; for the rest of us there is Vintage Filter. In the words of one Abbey Road engineer, “Lo-Fi is for more than just distortion. You can use Lo-Fi on drums, vocals, bass, guitars, in post. It adds unique tone and character that a mix sometimes needs to give it some balls. Some people are not aware it is possible to use the DB33 as an insert so that just the cabinet can be used on other stuff. Try it on guitars for smooth trem and chorus effects. Combine this with filters and gates and you have a powerful tool for creating deep low kicks and filter sweeps for dance music.